This entry was posted in Cole Swanson and tagged black folk music, George Gershwin, Opera, Porgy and Bess by swansocd. Bookmark the permalink. But seriously, you’re getting at a thorny issue here: Gershwin’s success in “Porgy” can be measured in various ways, and these reviews offer two of them. Formally speaking, is it a “great *American* classic” or a dumbed down hodge-podge of styles and techniques? Socially, is the all-black cast a great leap forward, or is their representation of poor black culture just another instance of stereotyping? I’d be curious to know what Gershwin had to say about some of these questions – I’ll bet he wrote about the opera in letters and probably a few articles as well . . . Final thought: the library just acquired a book called “Who should sing ‘Old Man River'” by Todd Decker. 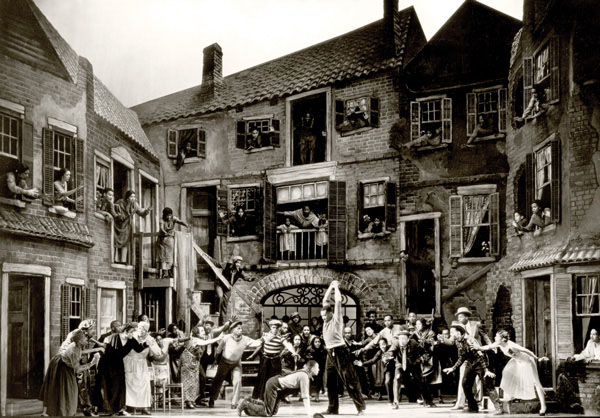 It’s about “Show Boat,” not Porgy and Bess, but I suspect it offers some possible answers to the questions your post provokes.